Equip teachers with the best resource of all. Time. With homework management, class communication and parent conversations managed within MyEDiary, teachers have more time to actually teach. Post non-deletable homework, assessment tasks and assignments to students. Teacher sign-off allows the teacher to have final say over completion. Send out permission slips, class updates and reminders to the entire class or selected students (and their parents). Teacher communication with parents is transferred from disparate email threads and written notes to a centralised conversation within MyEDiary. Receive school announcements, events, reminders and parent messages as push notifications to your smartphone. 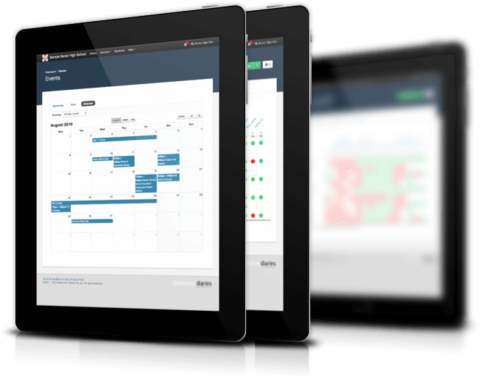 Easily monitor student progress and see at a glance how they are managing their workload. Easy access to school events and class timetables. As well as displaying due dates for the assignments they have set, teachers can use MyEDiary to set their own tasks, reminders and free-form notes. 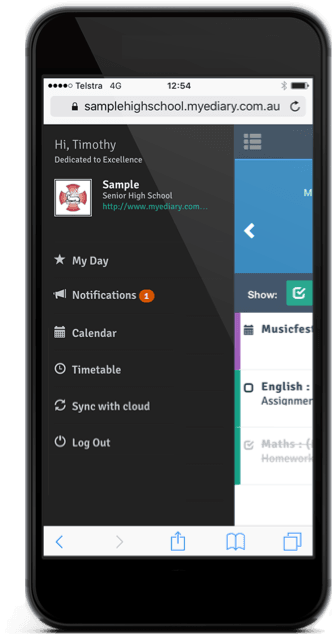 Access to MyEDiary on smartphones and tablets allows teachers stay up-to-date with school announcements and events whilst managing their day on the go. With push notifications enabled, teachers will be alerted of events and announcements from the school, messages from parents and due dates for the homework and assessments they have set. Employ the powerful Auto Task tool to handle repetitive tasks. 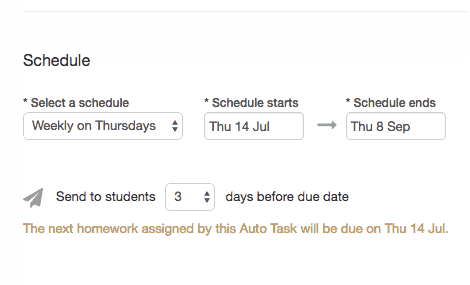 Auto Tasks can be used to assign recurring tasks of any type to students on a pre-defined schedule.